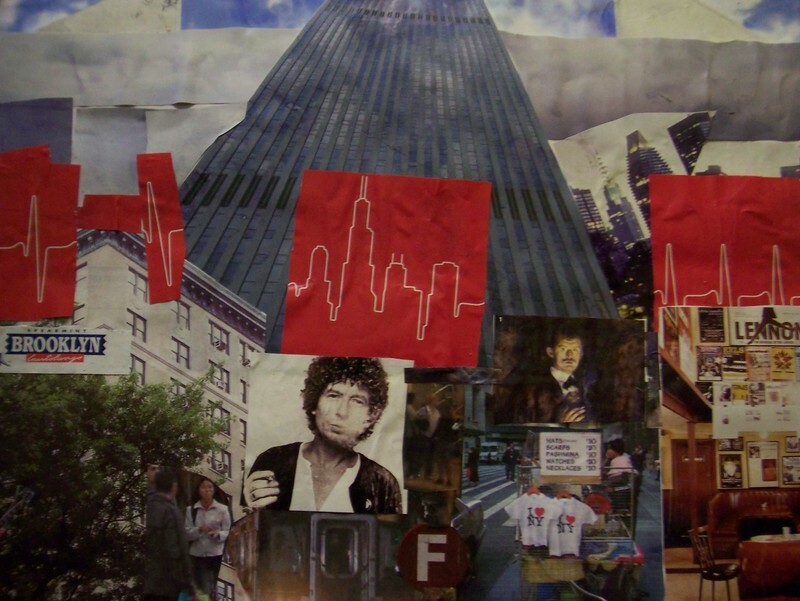 Here are some of the collages my students created during the "What is a city?" Inquiry Project. I wrote last week (or perhaps the week before - time flies by!) about wanting to arrange my classroom library differently than I had before. 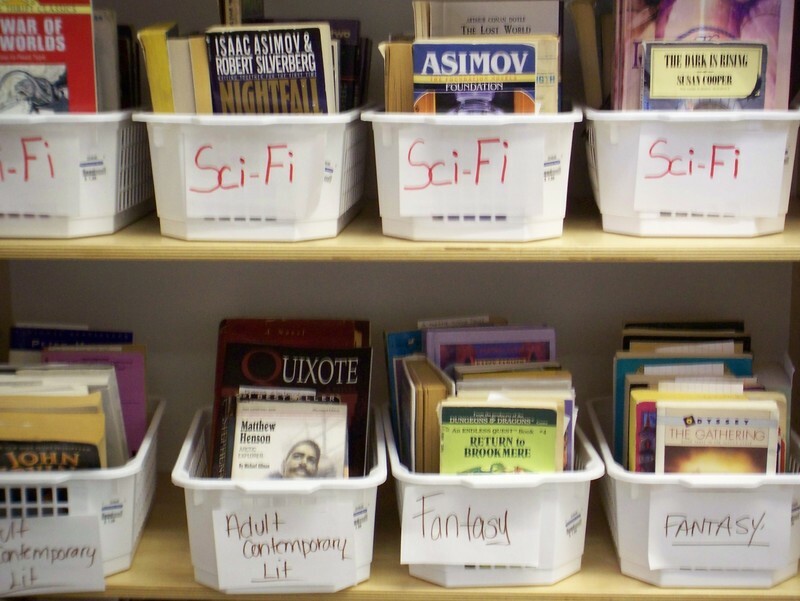 I decided to get bins and organize the books by genre. The result is what you see on the right. I'm very happy with the way this is working so far. I think it really helps students find books they like. 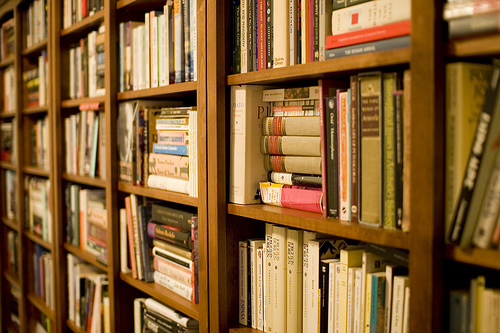 The old system of doing it like regular libraries and alphabetizing the books by author's last name was difficult for students. They really seemed to be on a wild goose chase. The only problem I see with this method is that students may get 'stuck' in a certain genre. Not that this is really all that bad, but we do want students to try out different genres and experiment. This system could allow that, but I can see that some students may need a real push in that direction. The first week at my new school was tiring, but great. I really enjoyed how the week played out and meeting my new students. I only met one class - I'll meet the rest this week. The class I met is kind of a mashup between a homeroom, advisory, and interdisplinary project class. This week, our project centered around the question "What is a city?" We choose this because our larger essential question for the whole year's worth of inquiry projects is "How and why do cities form, change, and persist?" The first step was for students to brainstorm all their associations with the word and concept of a city. When they started to get dried up with ideas, we pushed them to use their senses. We came up with a list of 50 plus associations the students had. The next day we did 'fieldwork' exploring parts of Brooklyn. 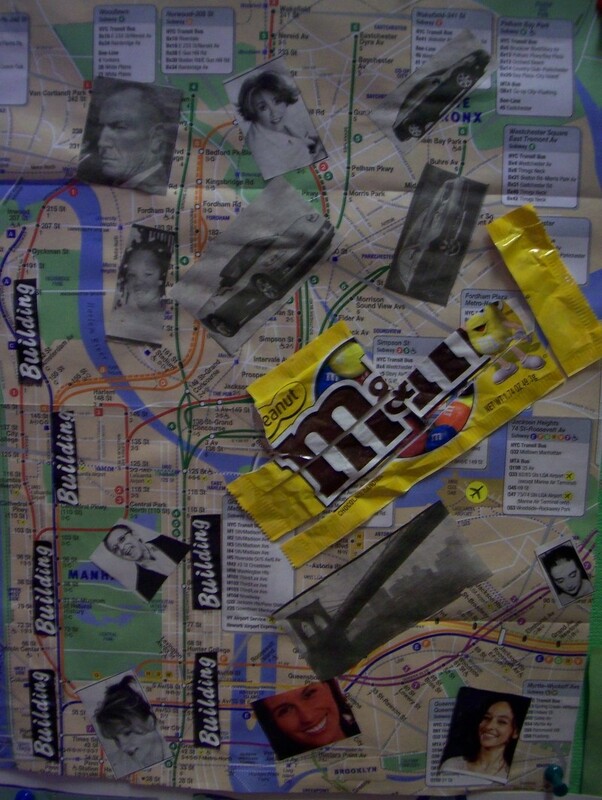 We stopped in three different locations on our walk in Brooklyn - the first was very residential with lots of brownstones, the second was a little more commercial with a bunch of small stores, and the last was in downtown Brooklyn. At each stop, students had a handout with their brainstorm from the previous day. They checked off everything they saw at each stop. 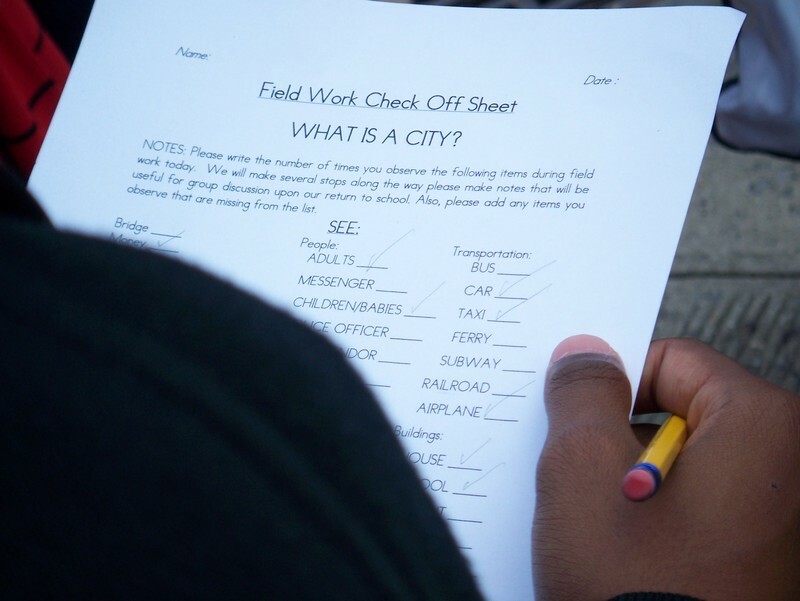 When we got back to class that day, students used their list to come up with their own personal 'Top 5' features of a city. We then tallied all their personal 'Top 5' lists to make a class 'Top 5' (which consisted of apartment buildings, people, public transportation, traffic, and businesses). For homework that night, students found images and artifacts that represented their personal list. 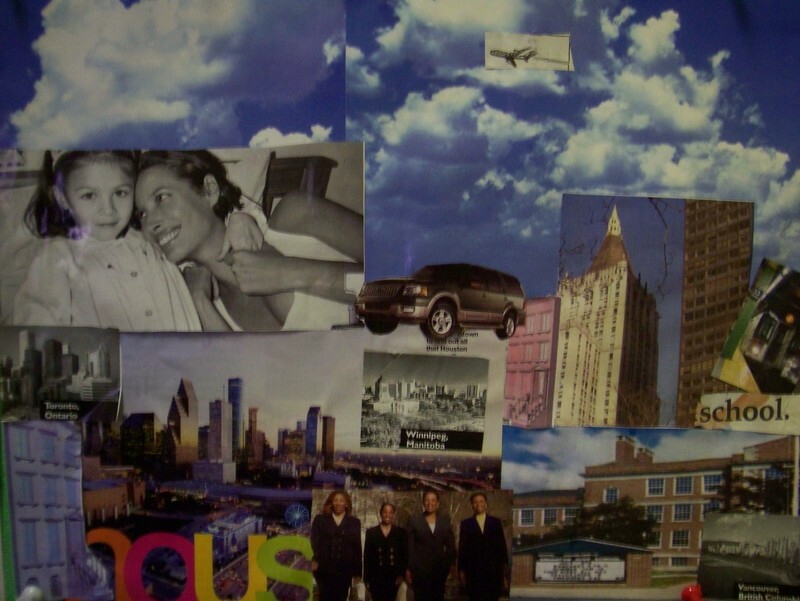 Students used those images and artifacts to create collages that answered the question "What is a city?" I talked with them about making a collage and using non-traditional images and scenes. I told them to play with size and shape, so that they just didn't slap their images on with glue, but arranged them with thoughtfulness. For homework that night, they wrote about their process creating the collage. Some of the collages were amazing. I didn't get photos of those, but will do so this week and post the really excellent ones. Students made great observations about their walk (The more people there were in an area, the bigger everything was - buildings, streets, sidewalks - in order to account for the space required for all those people). This upcoming week, in addition to meeting my ELA classes, my inquiry class will be examining our larger essential question and coming up with ideas on how to approach the questions. Today was the first day of school for students in NYC and the first day of students at the local university where I teach a methods and student teaching course. My high schools students are so nice! I love them. Looking at some of their writing, I can tell I have a lot of work ahead of me in helping improve their ELA skills. But, they seem like really good kids who are happy to be in this new school. I can't wait to see them tomorrow! I was really nervous this morning about starting in a new school and having no reputation among the students. I had worked hard in the last school to develop a reputation about being a fair, hard working teacher. Starting from scratch had me really nervous, but at the end of the day everything had gone smoothly. For the first time, my university class started on the same day as NYC students. It has been an exhausting day. I wrote my university students an e-mail after class. It is excerpted here. I think it is important for all of us to remember. I just wanted to say that I was very happy to meet you all and begin what I hope is a great semester. I think we got off to a great start - first, there were very few special and complicated situations that took away from classtime. Second, you laughed at most of my jokes. The last speaks well of you. I know that you are all anxious. It is completely normal. I would be worried if you weren't. Many of you seemed worried about logistics and I'd like to float the idea that your anxiety here is really anxiety about what is going to happen in the classroom. Student teaching can be very difficult and there are a lot of unknowns. We will get through them together. It is okay to be anxious. One thing I always try to work with my student teachers on is optimism. If you are going to last in public education, you need to see the bright side of things. There will always be bad stuff - some principal will be annoying, a colleague may be inept, you don't have books, the copier is broken, there's a mouse in your room. The bad stuff will change, but it will never go away. The same is true with student teaching - the university didn't tell you something, your cooperating teacher is inept, your supervisor is out of town. There will always be something. The perfect experience you have in your head is just not going to happen. It is rare to have a student teacher who finds his or her placement perfect. It is even rarer to find a teacher who finds his/her school perfect. In order to survive, you need to acknowledge that there will be this bad stuff, but focus your enery on the good. This is especially important in dealing with students. There is always one (sometimes, more) student. He doesn't have his homework. She curses you out. He hits. She hits. And so on and so on. But, there is something positive about every student and they need you to see that. Your energy is best spent on the positive. This will ensure your students' success and your longevity in the profession. I hope everyone in NYC had a good first day! Every year I've taught, I've had a classroom library. When I started at my old school, the Dept. of Ed. 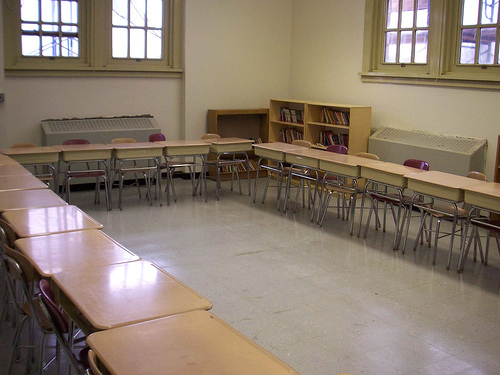 bought classroom libraries for all high school ELA classrooms, so there wasn't much to worry about. Now that I'm at a new school, I have to get a new classroom library and because my school is new and wasn't around when the DOE bought libraries, I'm starting from scratch. I had put in an order to get a classroom library, but it was not ordered until this past week and so I won't have it until October, if I'm lucky. So, I'm supplementing the shelves with my own books, as well as the donations from a teacher in the middle school that's in our building. Next week, I'm going to have the kids in my Inquiry class (which is also my homeroom and advisory class) sort the books into genres. In the past, I've always put the books in order of author's last name like a normal library. But, I'm going to try it by genre this year because I think it might be useful for students in helping them pick out books they like. So many kids don't know how to do that. I'm not going to level the books - I never have. I think doing so only stigmatizes those kids who really struggle with reading. I know the justification of it, but I think it is inappropriate in high schools. Students of this age care enormously about what their peers think about them and picking a book that is low level (and is clearly marked as such for all to see) could be a bad move. (Of course, I could see some students who can read at a higher level picking a lower level book so as to not seem like a geek.) Do we really not trust students to be able to look at the first few pages of a book and not be able to determine that he or she is capable of reading it? I don't have a problem in the teacher knowing the levels of books; I object to making it public for all to see so easily. The effects could be so stigmatizing. So, now that I know that I'm going to organize by genres, I just have to figure out what those genres are going to be. That's a whole other mess of vagueness and disagreement! I won't even recall the arguments I've heard about the difference between a memoir and an autobiography! 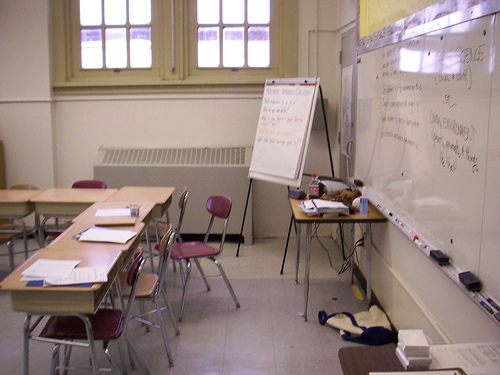 There have been a few articles out recently about NYC Department of Education Chancellor Joel Klein and his complaints about having to keep teachers and assistant principals who don't have placements at this point in the year (the students come back on Tuesday!). I want to start off my comments by saying that I'm sure that in these groups (and there seem to be many people in these groups) there are really great educators who, for whatever reason, deserve a job but don't have one. But, let's be honest. Those of us in NYC education know that there are people in there who don't deserve to be educators. Maybe at one point they did, but not anymore. They have achieved tenure and have lost that original spark they had for helping kids. Education is now a job to them and they are waiting out their time to get their pensions. But, because of union rules, it is really hard to get rid of them. This is a shame to me. I say that if you haven't added anything to children's lives or education you should not be an educator ... no matter how long you've been doing it or what your intentions were when you began. The justification for the rules that keep bad educators in the field is that there are circumstances when a perfectly good educator - one who has added positive things to the field recently - is denied a job either from plain ole bad luck or from incompetent superiors. These people, of course, should keep their jobs. But, because there are people caught in this situation does not mean that we have to keep the dregs of education. Certainly, there are ways around this situation - a way we can keep the right educators and get rid of the others. Let's say that if you don't have a position, you are put in front of a panel (make them administrators, teachers, union officials, etc) and you are re-evaluated. If you can demonstrate that you are a benefit to the system (meaning that you have added something to the education of the youth of this city recently) then you can keep your job. If, on the other hand, you can't demonstrate this through testimonials and hard proof, you are let go. It can't be that difficult. There has to be a way we can protect those people who deserve to be in this field and get rid of those who shouldn't. Until we figure this out, educators will never get the respect that we deserve. As I said a few posts back, this really seems like it is going to be the year of collaboration for me. I'm directly and intensely collaborating with three people this year. First, with A.M. as an ELA department. While we will not necessarily be planning every single lesson together, we are planning some. Where there is cross-over, we are both individually brainstorming ideas and bringing them to the meeting and developing lessons together that we could both use. For example, our first cooperatively planned lesson will be on helping students come up with writing topics. We are meeting this week to go over our individual brainstorms. I think some great lessons will come out of this process. We are also going to assess our students using a common structure (which I'm going to write about later). Using this structure, we are going to assess our students skills and quantify the results. We are hoping this will give us a view of what our students can or cannot do and we can use this to plan instruction cooperatively. I'm also working with L. for our Inquiry period. My new school has a common first period program where students are engaged in inquiry projects which surrounds a school-wide essential question. Every month, the whole school will get together and each group presents their most recent findings to the whole school. L. and I will be teaching this course together and planned the first week together last week. It was a long process, but we both left feeling very positive about it. We have a very solid plan and have planned out who is doing what when. We also spent some time talking about issues where we felt we need to be on the same page - classroom management, philosophical, etc. We seemed to both be on the same page already, but I think this process is so important so that the team will appear united in front of the students. Lastly, I'm working with A.B. teaching different sections of the methods and student teaching course at the local university. We met several times this summer to plan the syllabus. This was a different process since I already had a syllabus and had been teaching the class. We talked and made some adjustments to the curriculum, taking it in the direction I wanted to take it in. So, I've gone from having very little opportunity to collaborate to now collaborating in almost every aspect of my teaching life. It is quite an exciting adjustment. One thing I've learned that has helped all three situations is that it is very important how well the personalities of the people working together mesh. I'm lucky to be able to say that I feel that the personalities of all three of my partners mesh well - especially in terms of sense of humor. I can think of many, many people (some of whom I respect and others whom I don't) with whom I could not work because I didn't appreciate the way they communicate. So, personalities are very important, but I think in may case all three were cases of just being lucky. If I were an administrator, I'd think very carefully about who I paired up, because if the personalities didn't mesh well or if the parties didn't approach it with the same attitude (whatever that attitude might be) then it could be a disaster for everyone involved - especially the students who are in the classroom.